A common overdate with a decent group of both MS and AU examples available. It is a Redbook overdate, which increases demand, but the R1 rating makes it slightly tough. 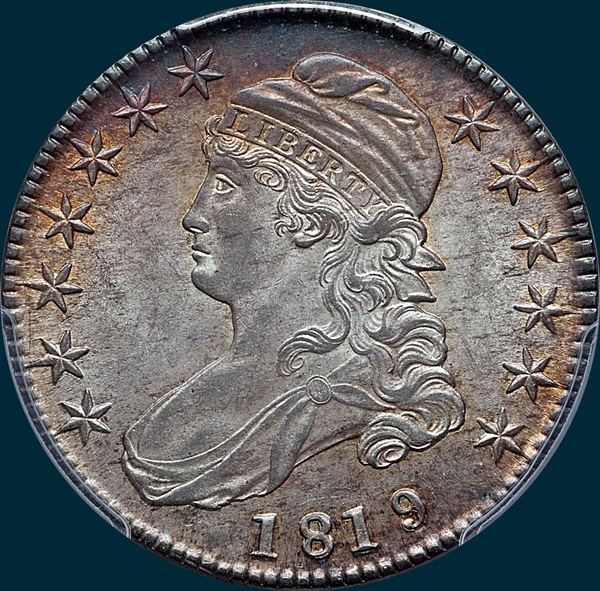 Variety Attribution: Obverse-1819 over 18. Stars sharp with the long points that are close to milling. Date is 9 mm. with slender figures, 81 closer than 18 or 19. The tail of the 9 is much more slender and there is far more space between knob and loop than on large 9. Considerably more portions of the 8 are visible around the tail, than are visible with the large 9. Reverse- 50 C. is 2 mm. with slender 5 and large 0 that are 1 1/2 mm. apart. Arrowheads separated. Arrow to A is 1/2 mm. Solid twin segment below 0. A fine die crack from tips of olive leaves to top of UN gradually extends around most of the reverse. 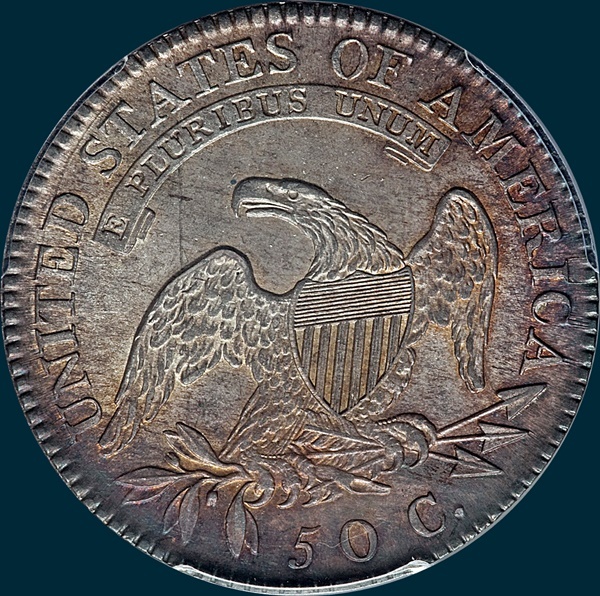 According to Edgar Souders, he estimates that the projected mintage for this overdate is approximately 833,200. Get his book Bust Half Fever and read all about overdates and how he came up with the number! This number would include five Overton varieties, O-101, O-102, O-103 O-104, and O-106. O-105 is not included as it is not a true overdate.